Virtually every home heating system requires a chimney or vent, making this an important topic for both home inspectors and homeowners. 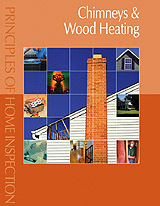 The text explores the efficiency and life expectancy of various types of chimney and wood heating methods. Components and potential problems of wood furnaces are discussed for regions of the country where this heating method is common. Wood stoves and wood fireplaces, popular throughout North America, also are covered. 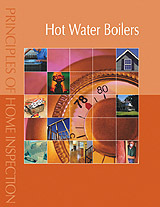 This comprehensive text is designed both for beginners who need an in-depth introduction to hot water boiler inspection and more advanced practitioners looking to deepen their understanding. Hot Water Boilers covers advantages and disadvantages of hot water heating, differences between boilers and furnaces, sequence of operation, efficiency, and life expectancy. The inspection of insulation and ventilation systems is particularly challenging because so little of the systems can be seen. 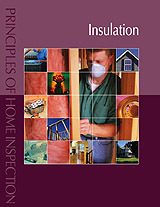 This text discusses how insulation, air/vapor barriers and ventilations systems work to keep houses comfortable and structurally sound. Basics of heat transfer and vapor movement are covered first to lay the groundwork for discussion of insulation and ventilation materials, systems and applications. Thorough treatment of venting living spaces is provided, including balanced ventilation systems and heat recovery ventilators (HRVs). 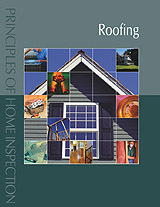 This comprehensive text explores the fill range of roofing materials and installation procedures. Since most roof leaks are flashing related, this critical topic is covered in-depth, including valley, chimney, pipe, sidewall, hip and ridge, skylight, drip edge, and dormer flashings. For inspectors in cool climates, the important topic of ice damming also is thoroughly covered. Steam, electric and wall/floor heating methods are often neglected in other texts because they are not as widely used as other methods. 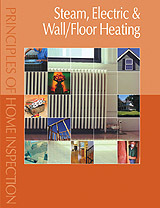 For home inspectors who do expect to see them in their practice, this book offers a solid introduction to the materials, components, operating principles, and safety controls of these heating methods. 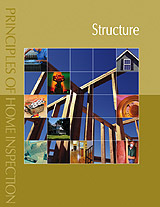 Structural conditions are often the most serious and expensive area to correct, and are among the most difficult for home inspectors to identify. This comprehensive text walks inspectors through challenging topics such as cracks, soil conditions, footings, and distinguishing solid masonry from masonry veneer walls.